The Rise of the Retreat Vacation: What are We all Running From? 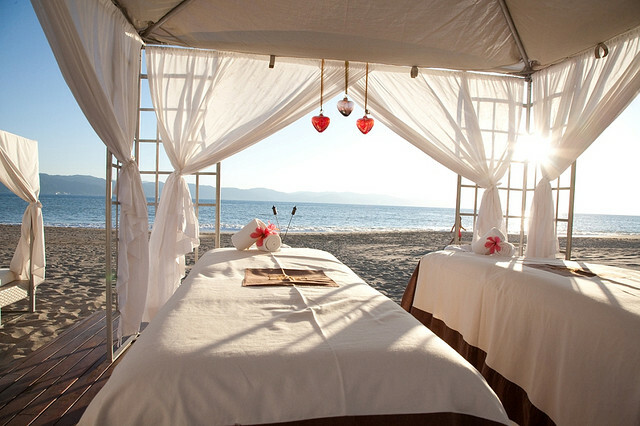 In 2013, the wellness travel industry was worth 494 Billion USD. Defined as “all expenditures made by tourists who seek to improve or maintain their well-being during or as a result of their trip,” it’s an industry that’s grown rapidly over recent years and is expected to grow at a staggering 50 percent faster than the overall tourism industry over the next five years. That’s a huge amount of spa holidays, yoga retreats, detox vacations, meditation, sports, ayurvedic and healing breaks—to name but a few of the options readily available. Various segments of the mainstream tourism industry are starting to cater to or market to “wellness tourists,” with the emergence of healthy travel tour operators, retreat management companies, and even the big hotel chains introducing brands into their portfolios that cater for the customer that wants to maintain their healthy life style while on the road. All we are missing is a “fly healthy” kind of airline (I’ll be happy to claim any royalties for that one!). I’ve been on two yoga retreats in the last year and a half, and many of my friends and acquaintances are involved either in setting up retreats and working on them, or going on them. The increase in availability of retreat breaks and demand shows one thing loud and clear: we want them. On the retreats I went on in Ibiza, Spain, I had a relaxing time, deepened my yoga practice, learned new things about myself and returned in a far more calm state. Next month I look forward to a 10 day silent meditation treat. But in all this good stuff I see a glaring issue: What has happened that we need to retreat from our day to day lives on such an unprecedented scale? If we are looking for evidence of spiritual “awakening” we could argue that this is it—but I’m not so sure. With the majority of people I have spoken to about the impact of retreats or wellness breaks on them, one thing comes through consistently: there’s no doubt that these type of breaks help and provide at the very least, some well-earned down time, but in so many cases, a few weeks later, we wind up as stressed as we were before we went on them in the first place. The Zen state is difficult to maintain for more than a few days. Far too often, the good intentions that were made so faithfully just fall by the wayside sooner rather than later. There also seems to be a bigger risk with the retreat concept. Eckhart Tolle talks about this in his must–read book The Power of Now—the more we focus on time out and getting away from it all, we lose the focus on the present moment. Instead, we focus all our intention on that one week where we can unwind. That week becomes the solution to all that has been causing stress in our lives, or even help “fix” us. Now I am not for a minute saying that there is anything wrong with retreats. They are needed. There are so many times when we just need to have that alone time, to sit, reflect, re-assess and take stock of what we are grateful in our lives. What I do think that we need to be mindful of however, is the tendency that we can have to yo-yo between extreme busyness in everyday life to then using our time-out to address the imbalance. Ideally, we should be able to apply elements of retreat on a day to day basis so we don’t feel the need to retreat so desperately in the first place. So next time I tell myself I need to take some time out or go on a retreat, I am going to ask myself what I can start doing now, today, that will bring a little piece of retreat, even if it’s only 10 minutes, into my day, every day. Whether it’s drinking hot water and lemon alone every morning, 10 minutes of meditation, a daily home yoga practice, or even taking a walk after lunch every day before going back to my desk. I wonder if we can reduce our dependency on retreat holidays and value our opportunity to retreat in real time more often. 2. “Wellness tourism is a billion dollar market.” Tuesday, 22nd October 2013, from 4 Hoteliers. Ellie Cleary is a writer, travel professional and general student of life and its many lessons. 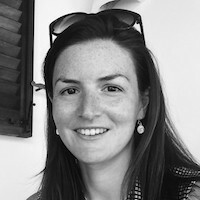 Originally from London, UK but based in beautiful Amsterdam, The Netherlands for the last few years, she is currently enjoying a break from office life and planning travels to India and beyond. A Taurus and an introvert, she is a lover of good food, sunshine and experiencing new places and people. Ellie also enjoys reading, yoga, long walks, deep conversations and cycling around her home city. You can connect with Ellie on Facebook.